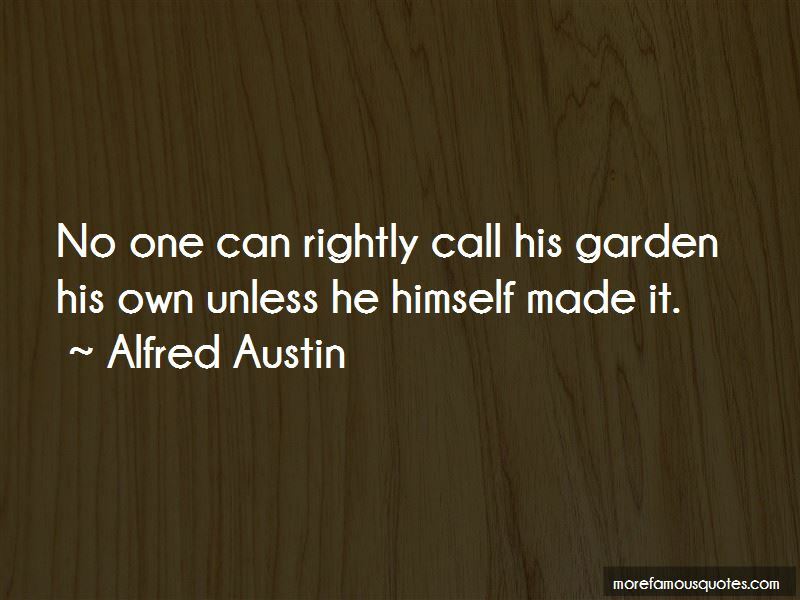 Enjoy the top 36 famous quotes, sayings and quotations by Alfred Austin. Yes, so long as there is wrong to right. Though my verse but roam the air And murmur in the trees, You may discern a purpose there, As in music of the bees. Dead or living, hard to say. Perhaps a maiden's bashfulness is more A matron's lesson than our lips aver. Falling stars are high examples sent To warn, not lure. Gross fancy says they are Substantial meteors; but that is not so. They are the merest phantasies of Night, When she's asleep, and, dimly visited By past effects, she dreams of Lucifer Hurled out of Heaven. In vain would science scan and trace Firmly her aspect. 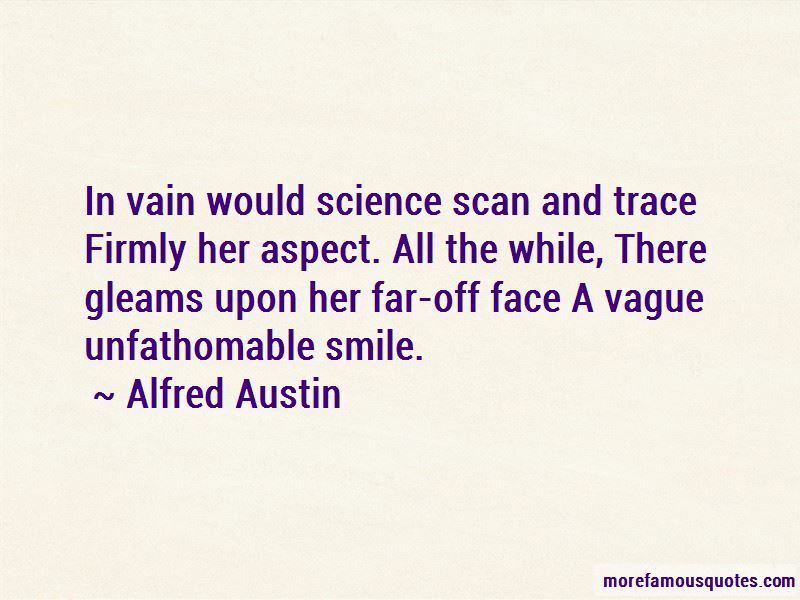 All the while, There gleams upon her far-off face A vague unfathomable smile. Never did form more fairy thread the dance Than she who scours the hills to find it flowers; Never did sweeter lips chained ears entrance Than hers that move, true to its striking hours; No hands so white e'er decked the warrior's lance, As those which tend its lamp as darkness lours; And never since dear Christ expired for man, Had holy shrine so fair a sacristan. In my song you catch at times Note sweeter far than mine, And in the tangle of my rhymes Can scent the eglantine. 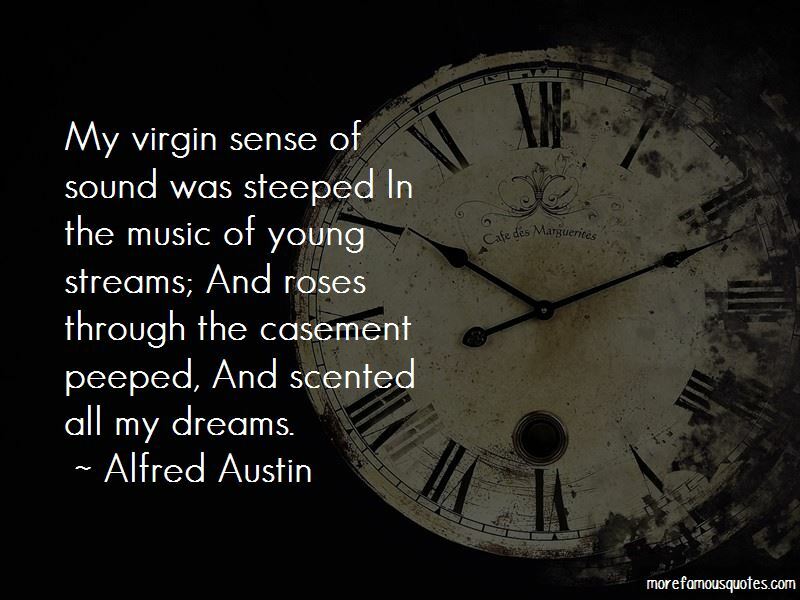 Want to see more pictures of Alfred Austin quotes? 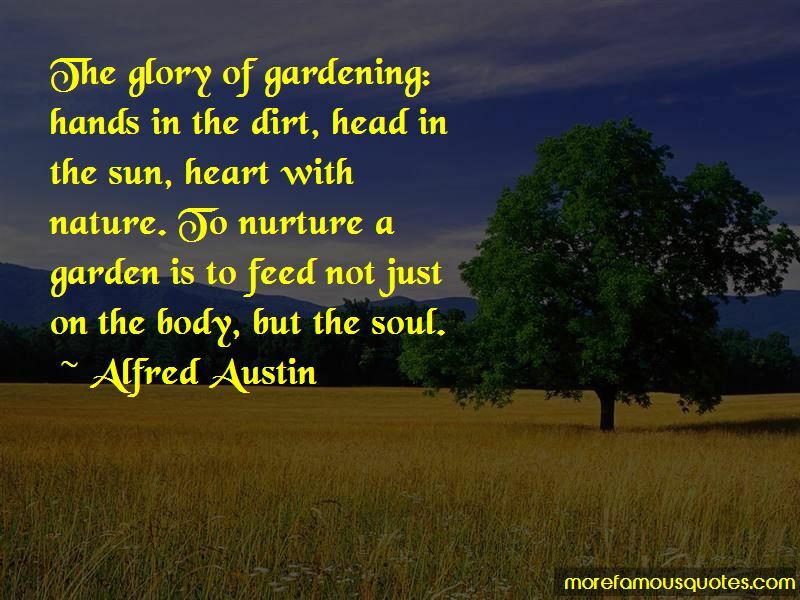 Click on image of Alfred Austin quotes to view full size.